Being in a “perfect relationship” probably doesn’t exist. Your better half might always have imperfections that you aren’t too fond of, but you accept them for it. That’s why finding the relationship that’s perfect for you is always the best option. One aspect that couples tend to stress over is the height difference. Usually, the male is taller than the female in a hetero pairing. However, there are times this isn’t the case. Here are some celebrity height differences that might have gone over your head. Cameron Diaz is one of many celebrities who don’t mind being taller than their significant other. Perhaps that’s because she says she didn’t feel complete until after she met the lead singer of Good Charlotte, Benji Madden. Nicole Richie introduced the two, and they immediately had a quick 17-day engagement. A few years later in 2018, Diaz announced she would be retiring from acting. Looks like she found the one and the height difference is nothing but a number. The actress on slide #6 auditioned to be her future husband’s love interest on a show, but was told their height difference was too much! Shakira told the world her Hips Don’t Lie and we ate it up. As she mesmerized with her exotic dance moves, many might not have realized she was so short! She’s more than a foot shorter than her man Gerard Pique. She might be ten years older than her partner, but he soars over the singer. The two first met back when the soccer player appeared in her “Waka Waka” music video, a song for the World Cup. 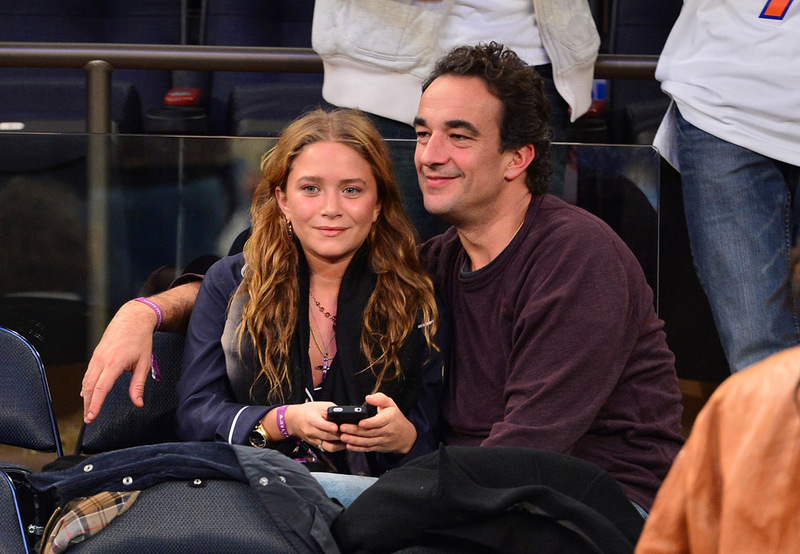 Mary-Kate Olsen has to be in the conversation for most popular celebrity twin. Ever since she captured the hearts of millions on Full House, she’s always on the radar for TMZ and other media outlets alike. It also seems like she barely grew from those days. The fashion designer turned heads when she began dating banker Olivier Sarkozy. Not only is he more than a decade older, but he’s also more than a foot taller than her. They married in 2015. R&B sensation The Weeknd and world-famous model Bella Hadid make an adorable couple. The two first began dating back in 2015 after reports confirmed they had been spending a lot of time together since The Weeknd performed at Coachella. Then they took a break, but have been going strong since calling it back on in early 2018. Since Hadid is a model, she walks around in heels a lot of the time, thus making her babe seem way shorter than he really is. Every red carpet appearance Hadid is the one towering. These two make an amazing couple! If you know Borat, then you know Sacha Baron Cohen. Isla Fisher also has a funny role that many know her from and that’s Wedding Crashers. These two probably never saw the height difference as a problem. In fact, only five years after they met, Fisher changed her religion to Judaism. “We have a future together and religion comes second to love as far as we are concerned,” Fisher said. Up next, man conquers water. Once Will Smith portrayed the Fresh Prince of Bel-Air, he forever cemented himself as one of Hollywood’s favorites. Not to mention his Grammy award-winning music and award-winning movie roles. It’s ironic how he met Jada Pinkett Smith. 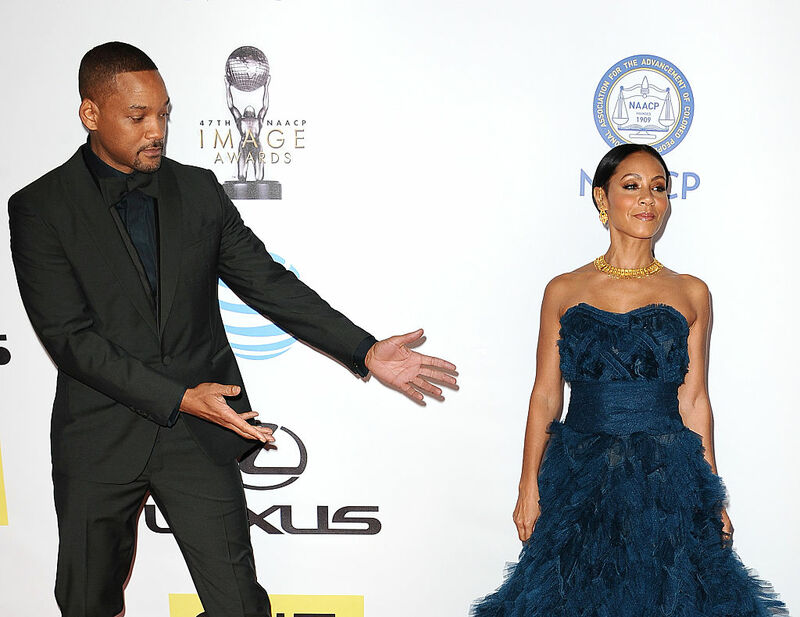 Jada auditioned to be Smith’s girlfriend in the Fresh Prince, but due to her height, she didn’t get the role. Well, Smith didn’t see the height difference as an issue and the day he broke up with his real-life wife, he called Jada and told her they could date now. One of the coolest couples in Hollywood, Lisa Bonet and Jason Momoa have been together since 2007. 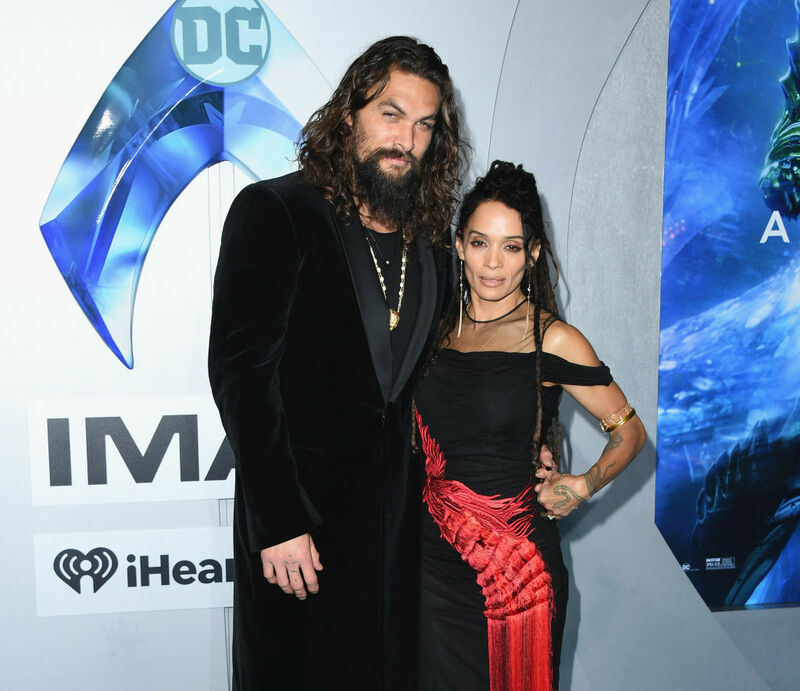 Momoa made a splash at the end of 2018 when Aquaman premiered in theaters and Bonet was there to support. There were rumors that they two wed in 2007, but the truth is that it was more than a decade after that, that the couple was legally married. The height difference doesn’t get in the way as they continue to let their love flourish. 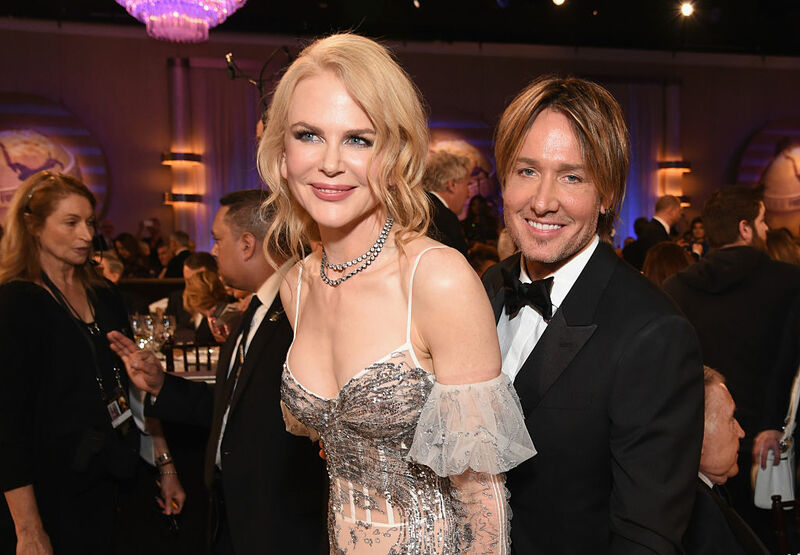 Throw some heels on Nicole Kidman and she’s eligible to be an NBA point guard! Finding men she likes that are taller than she is must have been a real challenge, but thankfully, that all changed in 2005 when she met Keith Urban. One of the greatest British Rock stars there is must be a magnet for taller women. 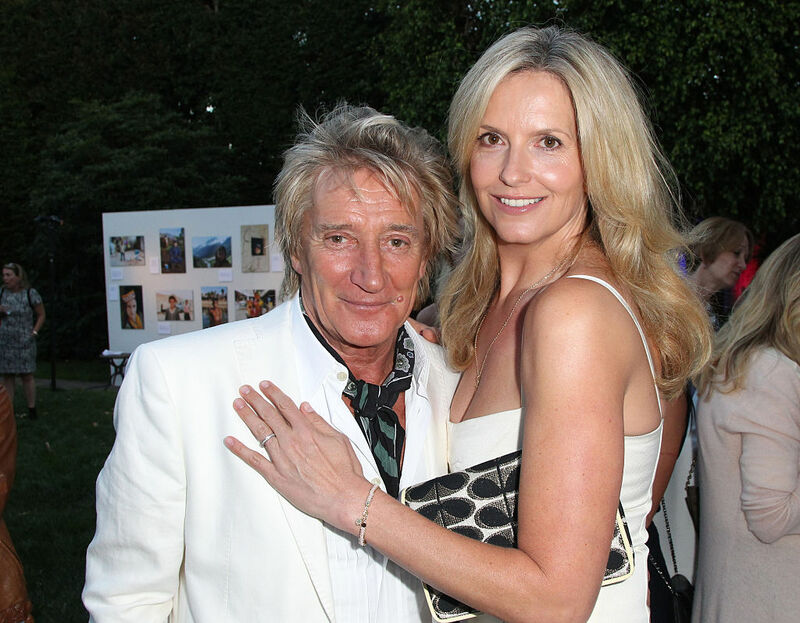 Rod Stewart attracted former model and photographer Penny Lancaster back in 2007, two years after having their first child together. Rob referred to Lancaster as “Hot Legs” for obvious reasons. The two have remained a healthy couple for the duration of the relationship with no signs of slowing down anytime soon. Stewart doesn’t mind that he’s the short one. At 5’7″, Clare Grant isn’t unusually tall, but she does have three inches on his husband, Seth Green. Grant also isn’t afraid to wear high heels and rock a full-bodied hairstyle, which can give the illusion that she’s pushing six feet! Grant and Green met in 2007 at the opening of their favorite comic book store where Grant was photographing the event and Green was signing autographs. The two continued to run into each other for months until they finally went on an official date. They said “I do” in May 2010. It looks like Prince William doesn’t prefer a woman of short stature. Kate Middleton is well beyond the average height of women and is nearly as tall as William! The Duchess of Cambridge and the Prince caused a media frenzy when they got married. The two first met as students back in 2003 at the University of St. Andrews. Eight years later here they are, proud parents of three. A royal couple indeed. More interesting height differences to come including a look at someone who gets made fun of for being short! 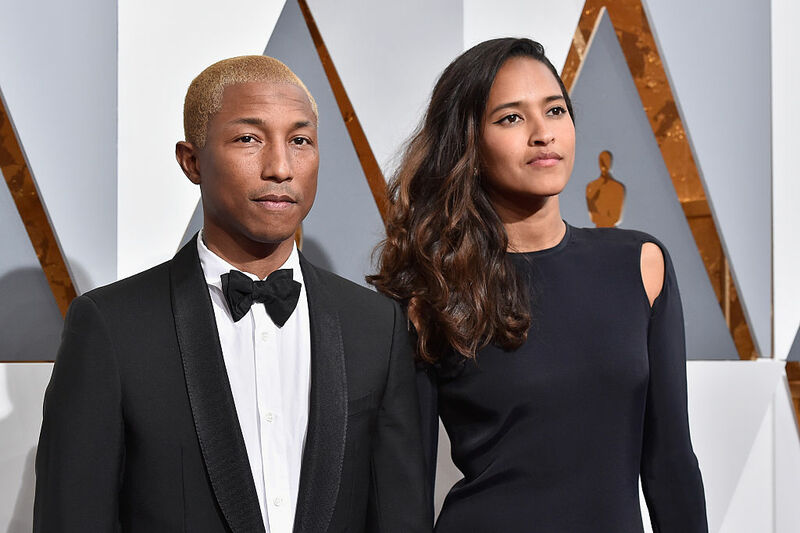 Pharrell Williams is one of those celebrities you never get a full grasp on how tall they are. The only thing that’s certain about him is that he looks like he never ages. The “Happy” singer has a knack for making smash hits and his wife approves. Williams was just friends with Helen Lasichanh for a long time before they got married. After five years of dating, they decided to make it official and they’ve never been happier. Here’s another Hollywood couple with a massive height difference. Does this mean that opposites really do attract? Maybe, or maybe Jessica Simpson was highly smitten by Eric Johnson who stands at least a foot taller. Right after the marriage with Nick Lachey ended, Simpson hopped right back into the saddle and started dating Johnson. They married in 2014. The two are obviously well off and live happily with their three gorgeous children. Here’s the individual who gets roasted for being pint-sized. 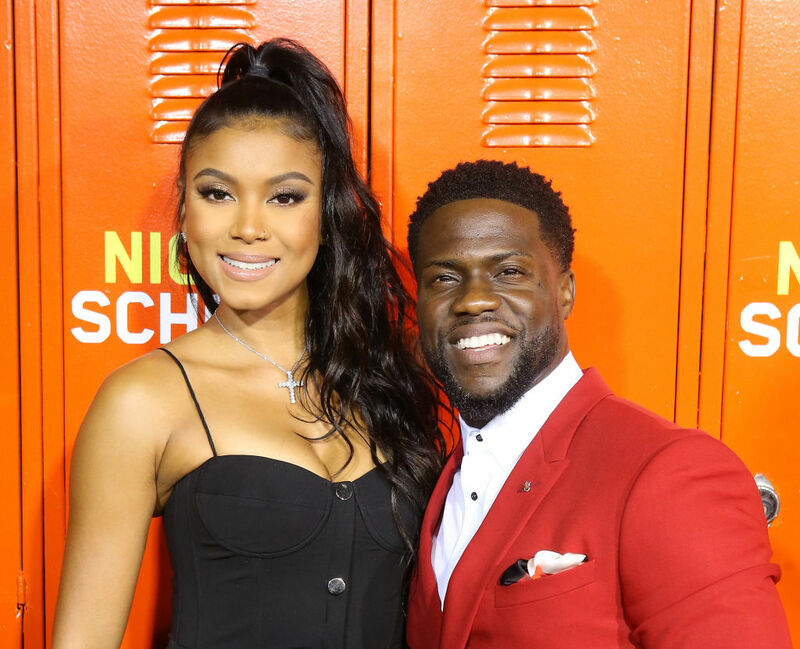 Kevin Hart, the funniest male celeb under 5’5″ also has another moniker that he goes by and its “Chocolate Droppa” to let you know how small he is. Hart was blessed enough to find a lady who complimented him and didn’t mind that she was taller than him. Eniko Parrish may not be in the industry, but she’s on as many red carpets as a rockstar. Joe Jonas made his rounds with celebrity beauties before he finally landed with Game of Thrones actor Sophie Turner. Jonas used to see eye-to-eye with Camilla Belle, Demi Lovato, Gigi Hadid, and Taylor Swift. None of them, however, caught his attention like Turner. Jonas is quite handsome, so we’re sure none of those ladies or Turner mind that he is shorter. Jonas liked the X-Men actress so much that he had to put a ring on it! Here are another Hollywood legend, Reese Witherspoon and her man Jim Toth who has to bend over a little just kiss his lady. More proof that height shouldn’t be a thing to detract a relationship. These two have made it work for some time now and have a lovely child to show for it. The two met after he rescued her from his drunk friend. The drunk guy was making a scene and that’s when Toth stepped in and helped out. Look at how she gazes up at her love on this lovely beach setting. 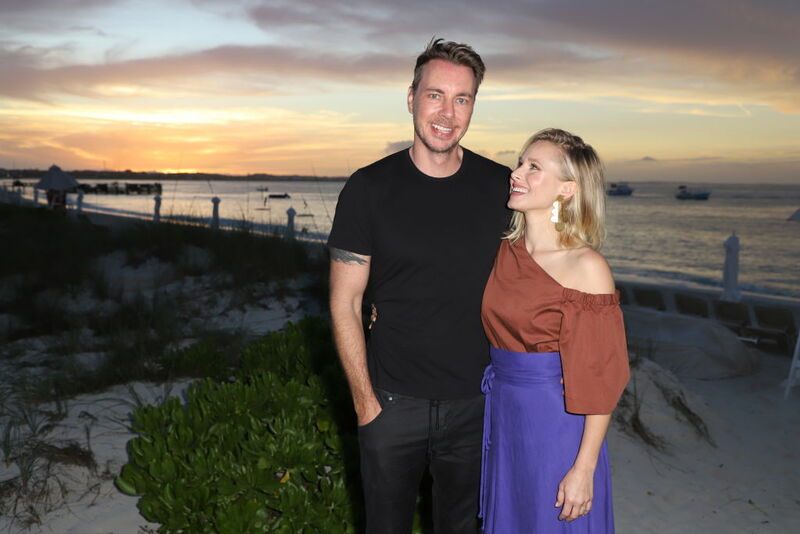 Kristen Bell will forever have someone to look up to so long as she stays with Dax Shepard and we mean that both figuratively and literally. Both are accomplished in the industry and equally funny making this a match made in heaven. Both are from Michigan so we’re sure that adds to their connection and understanding of each other. These two together can turn the necks of a thousand men and women. Both are gorgeous and one happens to be an Avenger. Chris Hemsworth plays Thor and he had to bulk up to play the God of Thunder. We don’t think Elsa Pataky had any complaints. After getting to know each other, they quickly married back in 2010. Since then, Pataky has had three kids and we’re hoping that at least one of them gets into entertainment! This adorable couple appeared on the big screen together as the fictional couple Fred and Daphne from Scooby Doo. Do you ever wonder why Fred always made Daphne go with him whenever he split up the squad? After these two met on the set of I Know What You Did Last Summer, they hit it off and ended up tying the knot in 2002. Nearly two decades later, the pair still seems young and in love. She stole his heart from the beginning. It’s almost like this match was supposed to happen. 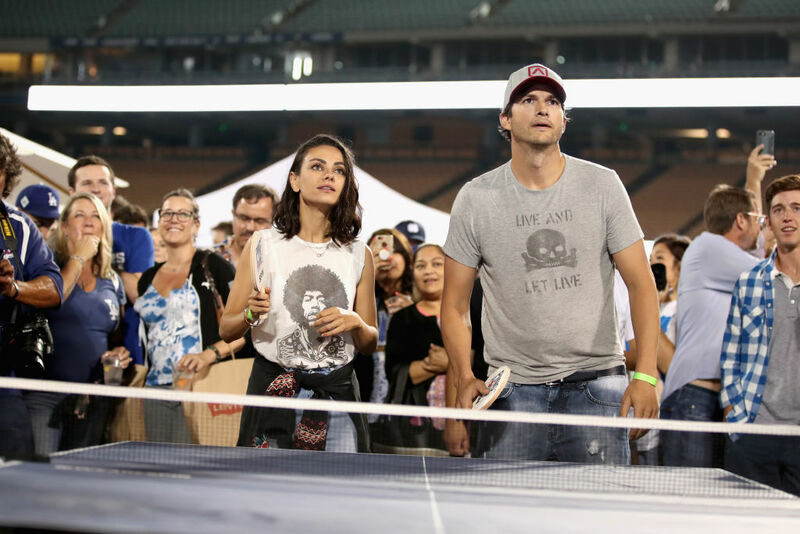 Mila Kunis and Ashton Kutcher shared a kiss on screen with each other on their hit sitcom, but that’s before the chemistry kicked in. In 2015, they decided to spend the rest of their lives together, despite a ten-inch height difference. It’s like a storybook tale, as 15 years went by after they first met and then life brought them back together for good. This might be the apotheosis of opposites attract. It’s possibly the biggest height difference on the list but that isn’t a problem for Hayden Panettiere and Wladimir Klitschko. They have 18 inches between them! They also have a 13-year age difference as well, so it looks like they just don’t care about numbers at all, that is until they broke up mid-2018. The only question that sits with us is, will their child take the height of mommy or daddy?